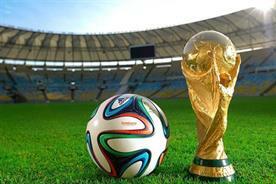 A more nuanced approach will help brands reach consumers uninterested in the World Cup, writes Kimball Lucas, brand strategy director at Carat. Hold the front page. 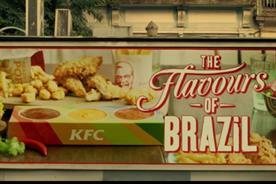 Not everyone has gone Brazil nuts for the World Cup, as many brands encourage us to do. In fact, our CCS research of more than 11,000 people says that 57% of UK consumers are not excited about it at all. Say hello to the World Cup Widows. Or, in this case the New World Cup Widows. During previous tournaments, the view has been that this group (as the name suggests) is pretty much made up of women. While they still make up the majority, there are a significant number of chaps. People consume multiple channels, so as the fans are dual-screening during the game, there are equivalent opportunities for those who aren’t watching. Marketing efforts from the last World Cup that stick in my mind are the ones that adopted a sledgehammer approach, caricaturing audience behaviour and targeting crudely along gender lines. 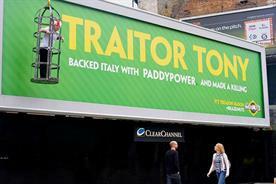 Whilst there’s much to be said for humour (I’m in the Paddy Power fan club), 2014 offers brands the opportunity to take a more nuanced approach. Convergence gives us the opportunity to bring the point of engagement and transaction closer like never before. We have the ability to understand our audiences’ needs and behaviours at a much more granular level so this World Cup can show that one size doesn’t fit all, and nor should it. There are the blokes. There are also the people that really dislike the whole affair, and those that might get excited if England starts doing well. Beyond these and other audience nuances, technology and convergence offers brands opportunities to engage people in newer ways. Working with data and capabilities like audience centres, brands can identify sub groups and target them with relevant and hyper-local messaging. Digital formats, including out-of-home, can deliver both time and location specific communications. Furthermore, using third party data and existing communities could open the door to delivering engaging and useful offers and communications from brand to consumer, or even creating experiences that offer an alternative to the football cacophony. What the World Cup creates is a bit of physical and mental space for our widows and widowers. There is a great opportunity for retail. Could a slower pace be an opportunity to engage consumers at a deeper level, creating a richer in store experience, dwell time, and the opportunity to drive purchases that require a bit more time and thought? Most games are in the evening so that needs factoring in. Stores could open later if there is demand. Equally, media channels and formats will need to reflect these timings. It will also mean that many World Cup widow(er)s may not leave the home. Entertainment, online browsing and shopping, and social engagement may peak and provide a further opportunity. People consume multiple channels, so as the fans are dual-screening during the game, there are equivalent opportunities for those who aren’t watching. Adidas does some great work with social-based real time planning around the football. 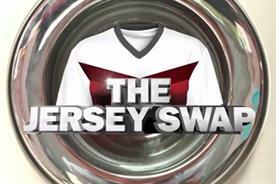 Are there equivalents for fashion, showing what the celebrated wags are up to? It is worth thinking about a more nuanced approach, and the opportunities that technology and convergence affords brands. There are still tried and tested approaches that can pay dividends for some. There will always be plenty of absurdities that will surface during a World Cup so hopefully we’ll still see humour being deployed liberally. 2. Safety in numbers – can you fuel interaction between these audiences?